Amazon for the first time disclosed the number of paying members of the retailer's Prime service, which offers speedier order delivery and other perks. The figure, revealed in a shareholder letter, has long been an important metric for the company — and one executives previously refused to disclose. The announcement came Wednesday in Bezos’ letter to shareholders, the Amazon founder’s closely watched annual treatise that is part update on the company’s progress, part business school guide to his and Amazon’s thinking. 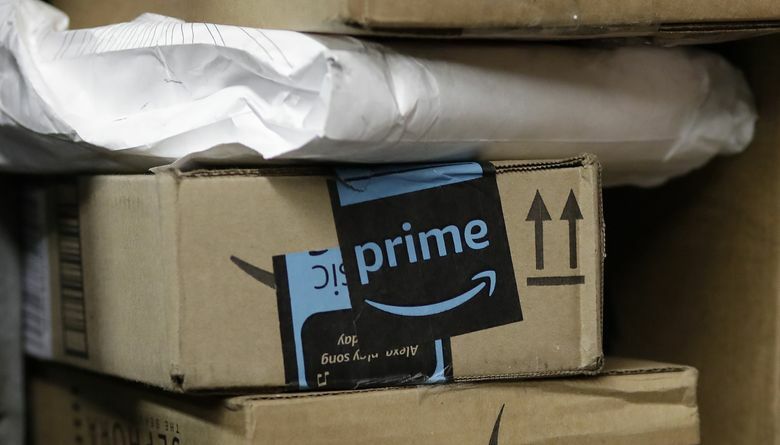 Prime, which costs $99 a year in the U.S., offers free two-day shipping on many items, as well as access to Amazon’s trove of on-demand video and music streaming. Members are thought to spend more on Amazon purchases than nonmembers, making the trajectory of loyal payers a key metric for the health of the company’s core retail business. Analysts for years have used surveys and educated guesswork to come up with an approximate figure for total paid membership. John Blackledge, who tracks Amazon for investment bank Cowen & Co., said in a note to clients on Wednesday that Prime was “the most critical driver” of Amazon’s online retail business in the long term. The number of Prime members has figured prominently in Amazon’s correspondence with regulators. The Securities and Exchange Commission’s investor disclosure watchdogs have repeatedly pushed Amazon to reveal more about the health of the service. It’s unclear how many of Amazon’s 100 million Prime members are in the U.S., which, according to the Census Bureau, has about 126 million households. For comparison, Costco Wholesale said in February that it had about 92 million cardholders. In Wednesday’s shareholders letter, Bezos’ twentieth, he also discusses the meaning of high standards in corporate settings — including a lengthy digression about a friend who decided to learn how to do a free-standing handstand and was counseled that a realistic estimate was that it would take six months to perfect. As is his custom, Bezos also included the version of the letter that he penned in 1998. That document stressed Amazon’s ambition to create shareholder value over the long term, eschewing quarter-to-quarter window dressing for long-term profitability. Investors in recent years have agreed to that trade-off, exhibiting extraordinary patience as the Seattle company grew revenue but plowed most of it back into the company and posted only slim, if any, profit. That formula has made Bezos the world’s wealthiest human. It also made Amazon, briefly, the No. 2 company in the world by market value, and recently the fourth-largest.